FASHION | I'll bet you're bored of the skinny jeans and boots and infinity scarves. You want something new for this year's fall/winter wardrobe; that's where the LISA SAYS GAH website can inspire. Based in San Francisco, Lisa Williams and her team's take on fashion will not only make you wish you made a whole lot more money, but also give you courage to embrace high-waisted pants, turtlenecks, wide-leg jeans, slip dresses and chunky heels. The site features a shop full of up-and-coming designers, fashion industry interviews and an inspirational blog. DOCUMENTARY | The opening film of this year's New York Film Festival was the first documentary ever to kick off that event. 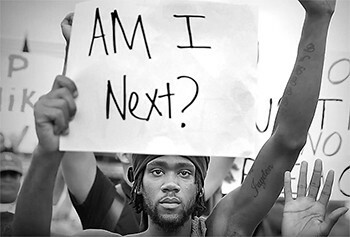 The film, 13TH, takes a hard look at mass incarceration in the United States. Directed by Ava DuVernay (Selma), the film is peppered with tough archival footage as well as interviews, taking us from the end of slavery in this country (achieved through the 13th Amendment) to the present. As the film explains, the U.S. accounts for 5 percent of the world's population, but 25 percent of its prisoners, 40 percent of whom are African American men. DuVernay confronts the issue head on, looking for answers. The documentary premieres Friday on Netflix and already has significant Oscar buzz. 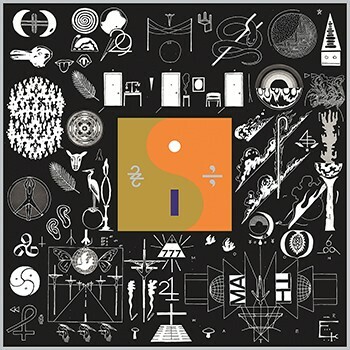 ALBUM | There's something about Bon Iver's music that makes you want to cry or scream, even though you often can't understand the falsetto-sung lyrics. With 22, A MILLION, frontman Justin Vernon goes even more experimental than his previous two efforts, turning the Auto-Tune up to 100. Five years after his Grammy-winning, self-titled effort, he's still contemplative — the record opens with the words "It might be over soon" — but with the addition of technological stops and stutters throughout. The result is an absolutely astounding soundscape. Kanye West recently called Vernon his "favorite living artist;" he didn't make a bad choice.